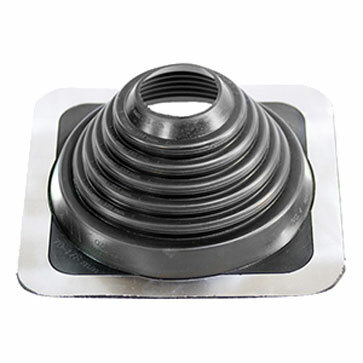 #4 Master Flash BLACK EPDM Pipe Flashing Boot. 10 x 10 inch Base, 4 inch High, with 2.5 inch Open Top. Fits 2-3/4 inch to 7 inch (70mm to 177mm) Pipes. Price/Each.